While on a fishing excursion, Barney and Floyd are held captive by three escaped female convicts: Big Maude Tyler (Reta Shaw), Naomi Connors (Jean Carson) and Sally Stringer (Jane Dulo). Back in Mayberry, Andy organizes a posse to round up the women, unaware of Barney and Floyd's plight. When he does find out that the boys are prisoners, Andy concocts a clever subterfuge to save the day. Written by Jim Fritzell and Everett Greenbaum, this episode affords series fans the opportunity to see actress Jean Carson in a role other than "fun girl" Daphne. 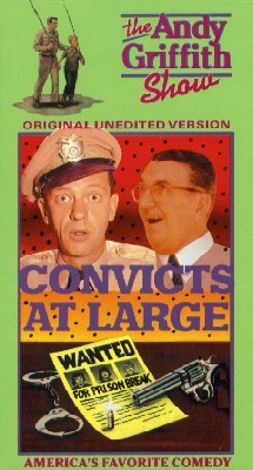 "Convicts-at-Large" first aired December 10, 1962.